Have you ever wondered how designers create those beautiful smoke effects in posters and photo manipulations? Well, all you need is a quality Photoshop smoke brush and you can create those same effects all by yourself. A smoke brush can be quite useful on many different occasions, whether it’s for adding a bit of artificial smoke to a cup of coffee, creating a fog-like effect, or adding a stylish fading effect for a poster. We browsed the web and handpicked a collection of the best Photoshop smoke brushes you can use to create all kinds of smoke effects. These will be great additions to your arsenal of graphic elements. This collection includes 87 unique abstract Photoshop brushes with creative motion-based smoke designs. It features brushes with different shapes, styles, and sizes with resolutions starting at 1085px. This bundle comes with 20 different Photoshop smoke brushes featuring various styles and designs that are perfect for making photo manipulation effects, poster designs, and more. It includes brush versions for both newer versions of Photoshop as well as for versions lower than Photoshop CS5. A bundle full of Photoshop smoke brushes featuring different styles of designs that are made specifically for creating artistic effects, poster art, and portrait designs. The pack includes 109 variations of brushes in 2500px resolution and comes with an additional 10 creative Photoshop smoke gradients as well. 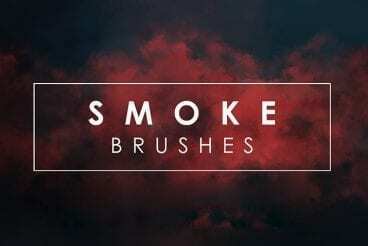 With this collection of smoke brushes, you’ll be able to create many unique designs such as background effects, art, and stylish presentations. It comes with 19 unique Photoshop smoke brushes in sizes up to 5000px resolutions. The brushes are compatible with Photoshop CS2 and higher. To make creating smoke effects easier, this bundle comes with both Photoshop brushes and transparent PNG variants of the smoke designs. It includes more than 50 different smoke Photoshop brushes and their PNG versions in 3000 x 2000px resolution. This bundle of Photoshop smoke brushes comes with 21 unique brush designs that have been inspired by real smoke movements. These brushes come in 3000px resolution and they are compatible with all Photoshop versions, from Photoshop CS3 and all the way up to Photoshop CC. A set of high-resolution Photoshop brushes featuring 25 different variations. It includes different brushes for creating all types of print designs, digital artworks, backgrounds, and much more. It’s compatible with Photoshop CS6 and the lower versions of the app as well. The brushes in this bundle are ideal for creating photo manipulation effects and various backgrounds. According to its creator, the brushes work well when they’re used in separate layers and they look great when used with the eraser tool. The pack includes 39 brushes compatible with Photoshop CS3 and above. Featuring 25 unique Photoshop smoke brushes, this bundle aims to help you craft creative effects, backgrounds, and stylish designs with smoky flows. The brushes can be used stacked to create amazing effects and comes in 5000x3000px resolution. This bundle comes with 50 Photoshop smoke brushes all with abstract designs and flowing effects for using with various design projects. Inspired by real smoke effects, the brushes come in high-resolution to allow you to resize them to whichever size you want. Another big bundle of smoke Photoshop brushes with more than 50 variations of smoky brush designs. This pack features artistic brush designs that you can use to create creative effects, styles, and photo manipulations. The brushes are available in 2500px resolution and higher. Neosmoke is a collection of Photoshop smoke brushes that have been designed to create a unique inverted color effect with smoke designs. The bundle includes 10 brushes in 3000px resolution. They seem perfect for creating unique backgrounds and duo-tone smoke effects. Even though these brushes aren’t technically smoke brushes, they do have a certain design that makes them look quite like smoke motions and flows. You can use them to create photo manipulations, portrait effects, posters, backgrounds, and much more. The bundle includes 10 different brushes. Clouds and smoke have very similar features. You can use this bundle to create stylish effects with a mix of smoky cloud designs. The bundle includes 20 unique Photoshop cloud brushes that are compatible with Photoshop CS2 and up to Photoshop CC. Create stylish smoky fog effects using this pack of Photoshop fog brushes. It comes with 20 unique brushes featuring realistic foggy designs in 2500px resolution. The brushes can be easily customized to create authentic artworks as well. We also made a list of the best Photoshop brushes of 2018. Check it out for more inspiration.